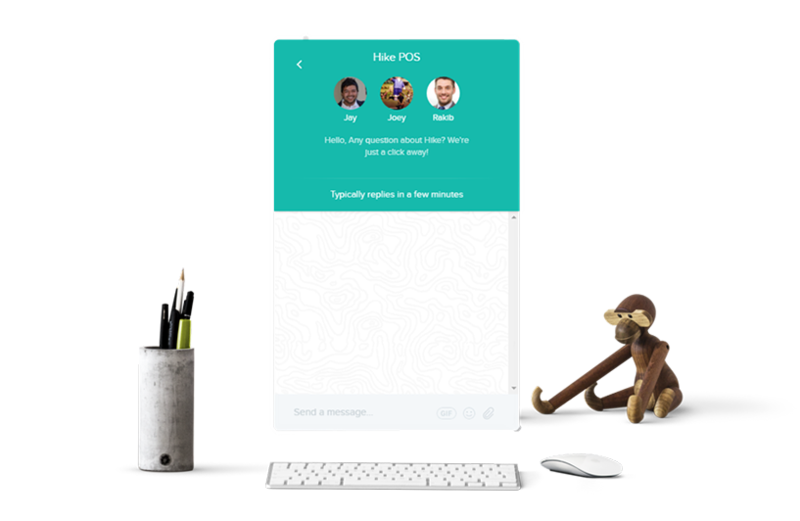 At Hike, we pride ourselves on being able to give you support at any time of the day, with our live chat support team experts always available to answer all your Hike POS questions. With retailers in over 65 countries, Hike is truly a global POS platform. Our support staff work around the clock to ensure that wherever you’re working from, there’s always someone to answer your questions. Speak to a real person (and not just some automated robot) who will help you with your issues instantly. Our friendly live web chat support team are always on-hand to help you out. Head to our Help Center view a wide-range of resources designed to help you get the most out of Hike POS. From user guides, frequently asked questions and video tutorials, become a Hike pro in no time at all. Our Hike experts conduct live web-based tutorials, designed to go through the POS from its most basic features to more advanced configurations. A perfect way for you to ask all your questions. Hike makes it easy for you to migrate all your data across, as we’ll take all your launch day operations, ensuring a quick and easy set-up from day one. Get the inside information on the latest trends and tips to help you manage your retail store effectively. With new blogs out weekly, find new ways to guarantee your store’s success. We love visiting trade shows and expos around the world, showing the power of Hike POS to diverse audiences. Stay tuned to our social media channels to see if Hike is coming to an expo near you, and see our POS in action for yourself! Stay up-to-date with the latest news and features in Hike, and ask us any questions you might have. Find us on Facebook, Twitter & LinkedIn.